Goshen and Monroe drivers comparing the 2016 Honda Odyssey to the 2016 Honda Pilot need to think about much more than SUV vs. minivan. It really comes down to the type of lifestyle that your family enjoys, with the Pilot allowing you to take to the backcountry and the Odyssey allowing for more interior versatility. LX: The LX fits a multi-angle rearview camera with guidelines, 4.2-Inch multi-information Display, and a Push-Button Start system. 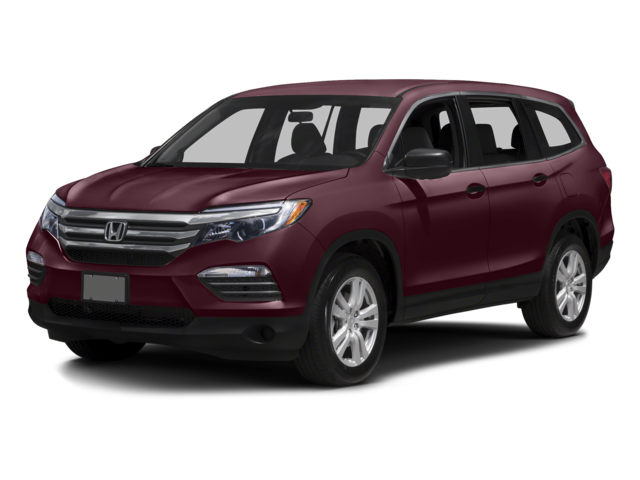 EX: The EX offers a number of upgrades to your Pilot, including LED daytime running lights, a 10-way power driver’s seat with power lumbar support, and an 8-inch touchscreen. EX-L: The EX-L provides a leather-trimmed interior and heated front seats for comfort, plus a power tailgate for easy loading and unloading. 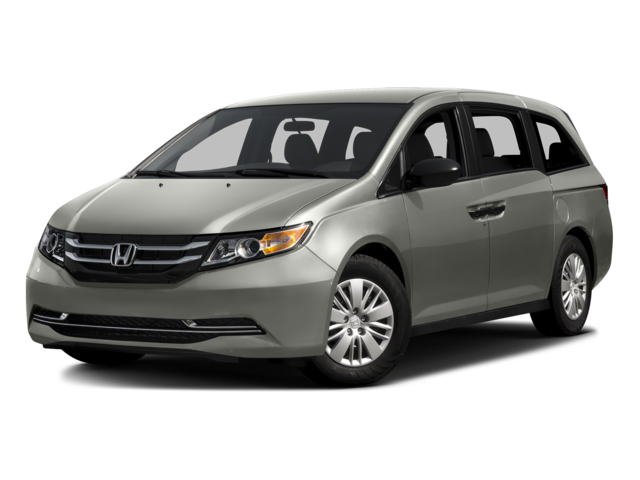 Touring: The Touring is the top-of-the-line model, offering the Honda Sensing driver-assistance package, Honda satellite-linked navigation, and a Blu-ray/DVD rear entertainment system. LX: The entry-level LX Odyssey provides a rearview camera with guidelines, a one-motion 60/40-split third-row Magic Seat, and 8-inch display. EX: The EX comes with a tri-zone automatic climate control system, 270-watt audio system with 7 speakers and a subwoofer, and Honda LaneWatch function. SE: This new trim level provides the HondaVAC and a rear entertainment system. EX-L: The EX-L offers a variety of driver-assistance technologies, including Lane Departure Warning and Forward Collision Warning systems, plus a leather-wrapped steering wheel. Touring: The Touring stands on 18-inch alloy wheels and offers a 10-way power driver’s seat with power lumbar support and two-position memory settings. Grand Touring: The Grand Touring comes standard with an ultrawide rear entertainment system, HondaVAC, and a 650-watt premium audio system. If you need a vehicle that will carry the whole family into the backcountry without breaking a sweat, the 2016 Honda Pilot will easily win out. It comes with a 3.5L V6 rated at an impressive 280 hp and 262 lb-ft of torque, with a six-speed automatic transmission system coming standard to make up to 19 mpg in the city and 27 mpg on the highway* with 2WD. An optional nine-speed automatic system with automatic stop/start function provides up to 20 mpg city and 27 mpg highway* with 2WD. More importantly, the optional all-wheel drive system can send power to both the front and rear wheels, and will even shift power distribution between left and right wheels for maximum traction. Add Snow, Mud and Sand settings on EX trims and above, and you’ll see how well the Pilot will handle itself across rougher terrain. You’ll even be able to tow up to 5,000 pounds when properly equipped. 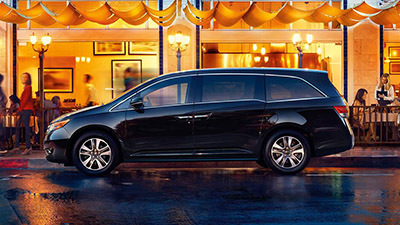 The 2016 Honda Odyssey equips a 3.5L V6 that generates up to 248 hp and 250 lb-ft of torque. That might be less than you’ll receive from the Pilot, but it gives this minivan a sense of responsiveness and tight acceleration that puts it well at the top of its class. You won’t be able to head off-road to the same degree, but you’ll enjoy strong driving dynamics and the ability to make up to 19 mpg in the city and 28 mpg on the highway* — slightly better than in the Pilot. 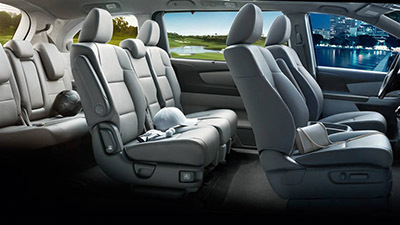 The Pilot offers room for eight within 152.9 cubic feet of passenger space, with enough room left over to accommodate an 82-quart cooler behind the third-row seat. Available one-touch second-row seats move forwards to provide easier third-row access, captain’s chairs are available in the second row, and there’s up to 109 cubic feet of storage space to play with. 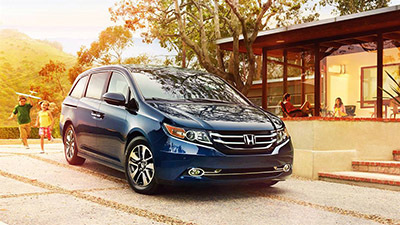 Both the 2016 Honda Odyssey and the 2016 Honda Pilot are able to put Goshen and Monroe drivers in touch with plenty of high-end features, including a rearview camera, a power liftgate, and heated seats. 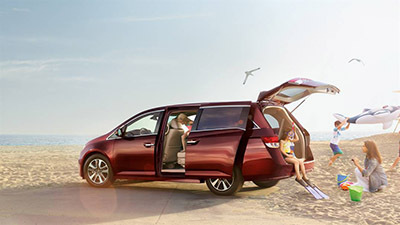 However, while the Pilot’s capability as an able off-road vehicle means that you’ll be able to enjoy all-wheel drive, the Odyssey’s dedicated purpose as a family hauler will put more technology at your disposal, including the available HondaVAC, a built-in vacuum to help you keep your Odyssey spick and span. Ultimately, the best way to decide which vehicle is right for you is by bringing the whole family down to Middletown Honda to check out both in the flesh, or even arrange a test drive. Our friendly and experienced team is ready and waiting to provide assistance to drivers in Goshen, Monroe, and the rest of NY!